Of all the movies up for an Oscar for Best Picture this weekend, Moonlight is the only one I’ve seen twice. I’m not going to sing its praises again here — there are many others who have done it justice. But what I truly loved about the movie was the way in which it managed to transcend identity politics almost effortlessly. It never seemed to be straining to say that it was a groundbreaking movie about being gay and black in America; it simply told a story of being human in America. 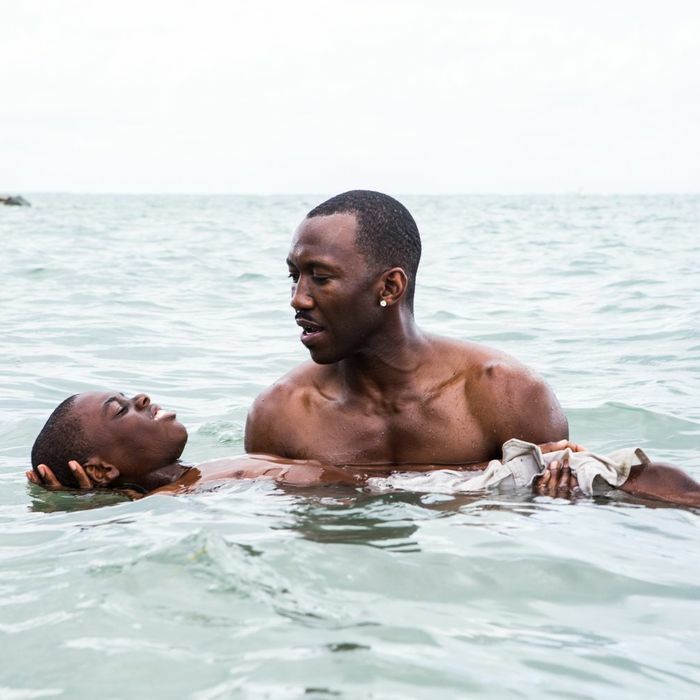 Part of that may be a function of how our society has shifted so that movies about the gay experience can now shrug off their otherness; but part too, surely, is because the director, Barry Jenkins, is straight. By all accounts he worked closely with Tarell Alvin McCraney, the gay man who created the story. But, like Ang Lee in Brokeback Mountain, he didn’t shy from what some now call “cultural appropriation.” He seized it. And so we got to see an authentically gay story through a straight man’s eyes — and the view was beautiful. Sometimes, it’s precisely the tension in cultural appropriation that creates the greatest art — because a work of translation is, at its best, also one of empathy. Attempting to shut this cross-pollination down may come from good intentions; but it’s a fatal political constriction on what art can really achieve. In art, the only identity that ultimately matters is that of the artist. The whole point is to leave the rest behind. And then, as if to cheer me up some more, I came across this truly uplifting nugget: According to a new study, we saw a 7 percent drop in suicides among gay teens in states that allowed marriage equality between 1999 and 2015, relative to rates in states where gay marriage was still banned. There’s no causal relationship proven here — just a strong correlation — so a degree of skepticism is merited. (You can and should check out the detailed study.) But it makes intuitive sense to me. Adolescence can be brutal for anyone — but it’s particularly isolating for gay or trans teens, as Moonlight captured so exquisitely. In the old days, as soon as you realized you might be gay, you understood immediately that you’d never be worthy of the marriage your parents or siblings had. That knowledge often pierced the young psyche with shame and stigma — and wounded your self-esteem for life. More distressing: Almost by definition, many of these most troubled kids don’t and won’t acknowledge their feelings, and so are resistant to counseling. But with legalizing marriage equality, there is another way to reach them — by the law itself telling this invisible and silent group that their state sees them as equal to their peers. It’s an anti-suicide measure all by itself — requiring no counselors, carried in the general atmosphere, removing or decreasing stigma. In that sense, you could call marriage equality a public health initiative. A staggering 28.5 percent of high school students who are sexual minorities attempt suicide each year. If marriage equality helps keep one of them from killing herself, or the trauma of trying, that would be a blessing beyond measure. That it might correlate with a decline in attempted suicides among all gay kids — the study assesses 134,000 fewer incidents a year — is a dream come true. Which is why marriage equality was never in the end about choosing politics. It was always, at its core, about choosing life. I don’t know about you, but the abject terror and anxiety of the last few months have abated somewhat. This is not, I hasten to add, because we have learned much that should reassure us about this unhinged authoritarian in the Oval Office. The rhetoric has not exactly mellowed. Not long after he called the press “the enemy of the American people,” he called his deportation revamp a “military operation,” for Pete’s sake. It’s just a matter of human endurance. You have to breathe at some point, to pace yourself, to find more spaces in your life and your soul where Trump cannot invade. There are only so many “truthful hyperboles” or tweet storms a person can withstand. My body’s habitual response after a period of intense stress and worry is to shut down with some kind of bronchial or sinus infection — and lo and behold, it has. I’ve been spending the last couple of afternoons in a feverish oblivion. At some point, though, we’ll have to find a balance between self-preservation and vigilance. You can’t call in sick for four years. My only active constructive suggestion — apart from constant grassroots pressure on congressmen and senators — is to find a single issue on which to marshal the forces of the opposition. Release of the tax returns has always seemed the clearest candidate. The advantage of this particular issue is that it unites Republicans and Democrats. A recent poll found that 74 percent of Americans want the returns released, including 53 percent of Republicans. It was a Trump promise, after all. And if pressure on him can’t work, the Senate Intelligence Committee has the power to subpoena the returns in its investigation of the Kremlin’s hacking of the election. All we need is massive and sustained public pressure. So I’m psyched to discover I’m not the only one to like this idea. A former Colbert Report writer, Frank Lesser, tweeted it out the day after the Women’s March. And it’s on — a whole host of groups are currently organizing a “Tax March” for Washington and many other cities on April 15. Bit by bit, we can keep the pressure on. I’m encouraged, too, by the polling. By any measure, it’s not good for Trump. Quinnipiac just put his approval at 38 percent. Gallup has him struggling in the very low 40s. The RCP average has him at 44–50. I don’t think that bizarre presser or subsequent rally last week did him any good, either — except for with his base, which still gives him the Full Hannity. They won’t budge, but if Trump slips toward the mid-30s, the congressional GOP may get colder feet — especially those in districts won by Hillary Clinton. The key, it seems to me, are those voters best described in Josh Barro’s lovely formulation, the “Trump-curious.” Gallup finds them much lower in support for early Trump than they were for late Obama. They don’t like chaos or incompetence — and they’ve seen their fair share of both; they’re not going to like seeing people’s health insurance taken away from them. Nor do they enjoy unnerving scenes of mass deportations. They voted for Trump in part because they couldn’t bring themselves to vote for Clinton but also, one suspects, out of a gamble that Trump may be good for the economy. If the economy goes south — and remember, Trump inherited a low unemployment rate and a long stock-market boom — they could leave in droves. It’s vital we don’t push these people away from the opposition by too dogmatic or leftist a stance. It’s crucial to keep a calm, moderate, and sane voice directed at exactly this 15 percent or so; and to simply hold Trump constantly accountable for the results of his policies, especially on health care and jobs. If we can’t remove him, we can neuter him. And for that, the coalition of opposition has to be as broad as possible. Meanwhile, where are we in liberal democracy’s Trumpmageddon? One gets the impression that only people in the CIA know. Some of them have told the New York Times and CNN that there were constant communications between members of the Trump campaign and Russian intelligence during the 2016 campaign — and some others at “the highest levels of the intelligence community” appear to have told Reince Priebus that those reports are “grossly overstated and inaccurate” (which is not quite the same, I’ll note, as completely untrue). This is what we call a standoff — hence the Senate Intelligence Committee’s letters sent this week to several agencies, asking them to preserve all records and information on the Russian attempt to hack the election. Here’s hoping they didn’t wait too long. The whole affair may well end up in John McCain’s hands — and investigative reporters’. In ordinary times, I’d agree with those concerned about the CIA operating to counteract its own president — even if only through leaks. But if there’s a credible case that there was collusion between the Trump campaign and a hostile foreign power to hack our elections … well, the CIA knows their duty. They swore an oath to the Constitution, not this president. And potential treason is surely an exception that proves the rule. On the national security front, there is also some good news. The removal of Mike Flynn from the NSA is a huge relief to anyone worried about an impending World War III (most of us) — and it was achieved by the Washington Post. The elite press is not irrelevant! Lieutenant General H.R. McMaster now joins Mattis as the sane guardian of the country’s fraying alliances, and, more encouraging, has a record of plain speaking to superiors. We’ll see how that translates to running the unwieldy NSA and confronting Trump — but it sure is an improvement on Flynn. Then you have to note the tiny advances and momentary reliefs in the first month: mounting public support for Obamacare, and Republican disarray on repeal; Trump’s capitulation on the One China policy; his acquiescence (so far) in the Iran nuclear deal; his exemption (so far) of the Dreamers from mass deportation; his keeping Obama’s ruling for nondiscrimination against gay people in federal contracts; his deferral to the courts on the travel ban; and his selection of a sane, well-regarded judge to replace Scalia. For most presidents, these would be no-brainers. For Trump, they’re small mercies, shards of reality-based politics emerging among the chaos. At this point, we have to take what solace we can.